What if there was a way to always know where you stood with your builders? What if your service was of guaranteed quality? Provided by trained and qualified professionals? And you could instantly make sure you’d get the expertise needed for any task all in the same place? Now you can. Professional Cleaners Wigan gives you access to the experience, knowledge, and trade skills needed for everything from a little precision painting and decorating through to complete office or home refurbishment. And in addition, we’ve got specialists in property repair and maintenance – perfect for any size of house or business. Make your latest project simple – hire your local all-trade specialists today! Get all the pricing information you need, or book a no-obligation onsite consult to plan home or office improvement work. You’ll find someone here ready to take your call 24 hours a day, on 019 4256 2008, and you can always use our booking form to send us the details of the work you have in mind, or our chat facility to speak to an experienced adviser directly online. Why Get Your Builders Services Here? There’s no job too large or too small for the experts who provide our building services. 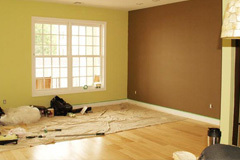 Are you looking for small-scale work to improve your home, or large-scale repairs in your office? Emergency appointments and same-day options for when you really need professional attention! Technical excellence in all trades, backed up by stellar customer service! Whether you’re planning on upgrading and improving, or whether you just need some high quality repairs – we’ve got the service that’ll meet your needs. And more importantly, your budget. 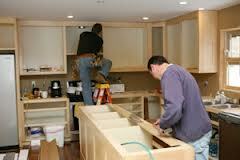 Builders Services – these are your complete office or home upgrade solutions. We work with landlords and homeowners as well as property agents and businesses to create a reliable and professional solution to every requirement – one that always takes any budgetary constraints into account. 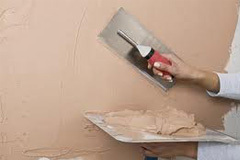 Handyman Services – providing everything needed for property repairs inside and outside your property, our handyman services cover tasks commonly described as odd jobs or fix-up tasks. Need a light fitting changing or a leaking pipe dealt with? We’ve got the tools and expertise. When it comes to builders, if you haven’t used a company before it can be difficult to know the standards you can expect. That’s why we provide round-the-clock customer support with every service you get from us – if you’ve got a question, we want you to be able to get the answer as soon as possible. The professional tradesmen who’ll be carrying out your office or home improvement are all fully trained and qualified individuals. This includes relevant industry certification, as well as full testing and training from us. Depending on the nature of the task you need to get done, we’ll always provide a specialist with the relevant skills and experience. For more in-depth tasks, they’ll always be a qualified professional.